When it comes to books about entrepreneurship, immediately names like Branson come to mind and in self-help it’s probably Louise Hay. However what would you do with a book that’s less about both and more about growth? Jodene Shaer, The Holistic Entrepreneur focuses on the aspects of success that most business guides overlook. She teaches her formula to conscious business, developed over twenty years of entrepreneurship. The book shares her tools to focusing on self-worth over net worth, replacing business models with intuition and strategy with striving for happiness. 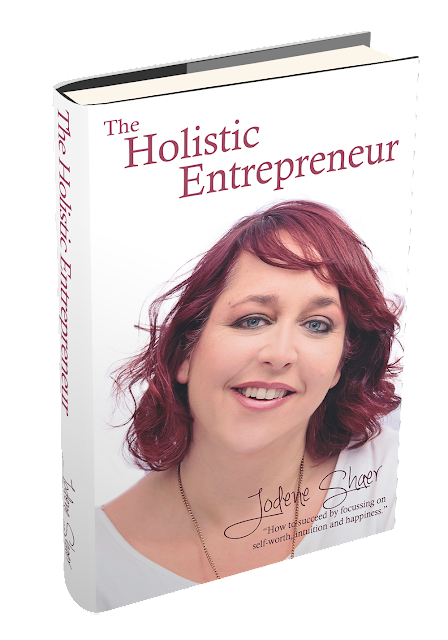 In her book The Holistic Entrepreneur Jodene Shaer explains “You have an idea, you have the skills you have everything you need for a happy and successful business life. So what's stopping you?” In this book you'll learn the simple steps that will enable you to balance the demands of an entrepreneurial business lifestyle, with the need to nurture the person at the centre of it all - You. Jodene Shaer is an entrepreneur at heart and an author and speaker by passion. Through her online social presence, she openly demonstrates what a life of courage, consciousness and a sense of humour looks like. She is a dedicated entrepreneur, with a holistic approach to business, money and success, which has generated a significant social media following and established her as one of South Africa’s recognised influencers. Follow Jodene on Facebook and Twitter . Visit http://jodeneshaer.com/ for more info. She is also sharing her daily vBlog on her facebook page and inspires you to take on a small challenge everyday in your own lives. The Holistic Entrepreneur is available to purchase on Amazon and will be sold in select stores across SA. I have been part of some of her social media engagements with several clients since last three years and always her events are well planned and perfectly executed. I am looking forward to read and learn from this book and I wish all the very best to Jodene!